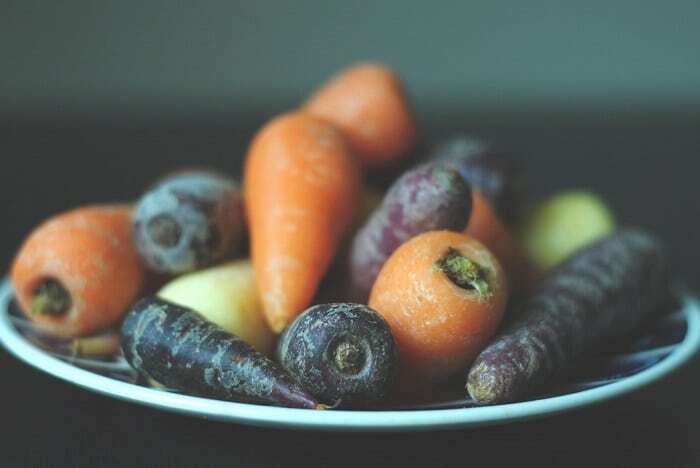 We think of carrots as predominantly orange, but their colors can range in the spectrum from white to yellow, to red, to purple. Carrots are excellent sources of the carotenes that our bodies process into Vitamin A. They are also a good source of Vitamins B6 and B12. 100 grams of carrots or 3.5 ounces is about 40 kilocalories.